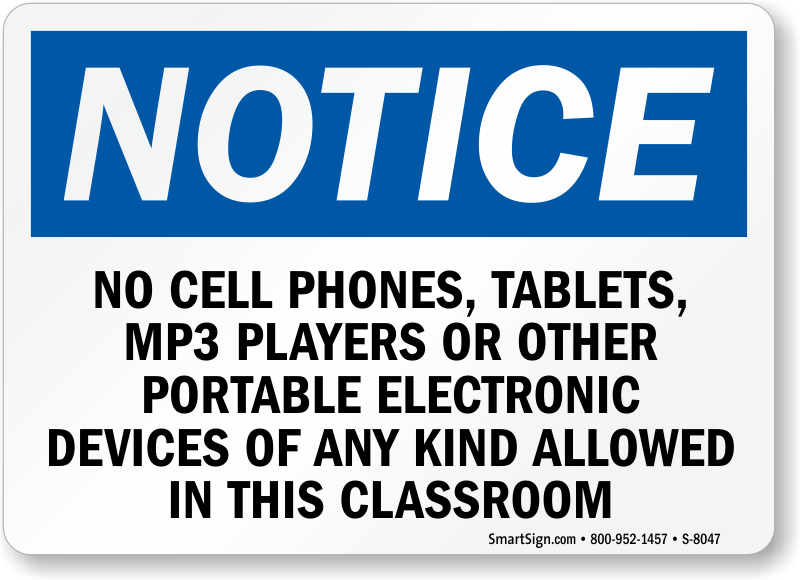 There is no ignoring the onslaught of smart phones, tablets and laptops in schools today. Trying to ‘ban’ these MED’s or prohibit their use is like saying to students that they can’t use pens or pencils (because they might write on a wall or desk). We have to embrace them and learn how best to use them so that they support a student with their learning. Above all you must educate students to use them appropriately. Prohibition is definitely not the answer. Trust is key. The first thing, and I’ve mentioned this before on this blog, is getting teachers to change the way they manage their classroom/lab/studio. A few simple things can help make both the teacher and student so much more at ease in the classroom when using MED’s. I’ve been using laptops in schools for twenty years, smart phones and PDA’s for over a decade and tablets for five years or so and have dicovered many things by getting it wrong in the first instance then learning from it. Don’t have your desk at the ‘front’ of class. Have it at the back (or if you want flip the students so that they sit facing the back wall where all your great visuals and resources are hanging/posted. Maybe not ideal to many but hey, a change is always good and it gets everyone thinking…). That way when students use their laptops they know you are behind them…they won’t fiddle on Facebook or watch YouTube videos on their favourite rock band because they do not know where you, or your eyes, are. I realise that this is not always possible (in a lab for example with tiered seating) but where possible, have a go at least. You can see their screens as you wander around – simple ‘old school’ classroom management in the modern day (yet I am still surprised by just how many teachers still base themselves at the front of the class with walls of raised laptop lids facing them). Of course you move to the front as you need to engage with a whiteboard/-touch or what have you (although you can control many whiteboards from tablets and desktops). No good teacher stays static in a class nowadays – do they? Use software to help monitor screens – software such as http://www.Netop.com are excellent and can be easily installed on your desktop, laptop or tablet so you can easily monitor each student screen at a glance from your own device. Many schools have established 1:1 laptop/tablet programmes in operation and as a consequence many acceptable use policies (AUP) are already in place. MED’s are fantastic bits of kit that you don’t necessarily have to teach students to use (especially smart phones) as they teach themselves so you can simply crack on with teaching and learning using the MED as a tool in support of what you want to achieve. However, how you approach their use in your classroom/lab/studio is your call – you must be comfortable with it and obviously it must be in-line with your school policy on MED use. At the start of the lesson get all students to place their phone (iPad or tablet) ‘screen up’ on the corner of their desk ideally in ‘airplane mode’ until you direct them to use them (all wifi and Bluetooth disabled) . That way, there is no fiddling in pockets, bags or texting underneath the desk or behind ‘stood up’ textbooks….and you can see at a glance if there is activity on the device as in most cases the device screen goes ‘live’ and lights up when a text, sms or call comes through. When you need them to access the www, use video or photo, calculate, record sound, use an app you’ve identified etcetera they simply turn airplane mode off and go for it. 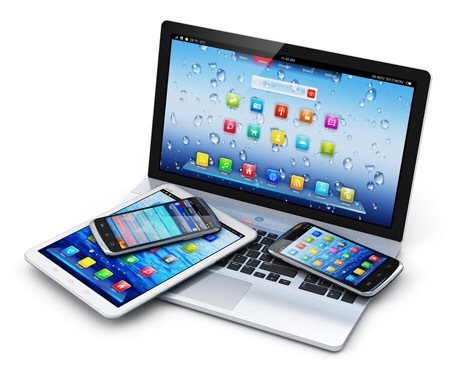 Students will quickly appreciate that you embrace using the devices and that you trust them to do so appropriately in support of their learning and in line with your school MED or ICT user policy. A win win. Make sure your school E-Safety document has been honed in collaboration with your students, colleagues and parents so it is an inclusive document. Getting whole school buy-in is crucial so that everyone feels that they have ownership of it (and most importantly everyone knows what it entails). Experiment with classroom layout and establishing what works for you. It’s your class/lab/studio so be in control but do get student inclusion in the thought and planning process. It helps. Above all, embrace the use of MED’s in your classroom and look at the positives NOT the negatives. Not always easy to do but trust, and clearly defining the school AUP to the students, is crucial to establishing a clear and successful culture of MED use in your classroom. You won’t look back from my experience.